No matter where you live, the sky offers an ever-changing scene to paint, but where do you begin? And how do you create clouds with dimension? This class will help you develop a complete understanding of how to plan and execute sky paintings. We’ll cover the pros and cons of using a photo reference, creating a strong composition and center of interest, and applying atmospheric perspective. 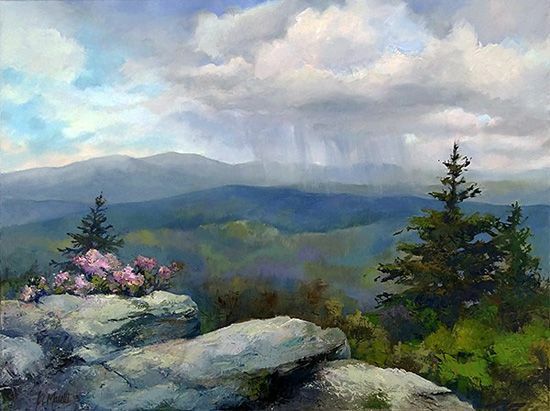 Step-by-step exercises help you develop confidence and have a better understanding of how to paint skies and clouds. You’ll leave understanding how to create a sense of drama, atmosphere and form in all your skies. Price includes paints and mediums for class use, a new brush, an instruction booklet, color wheel, mixed media paper to experiment on and plenty of one on one attention.